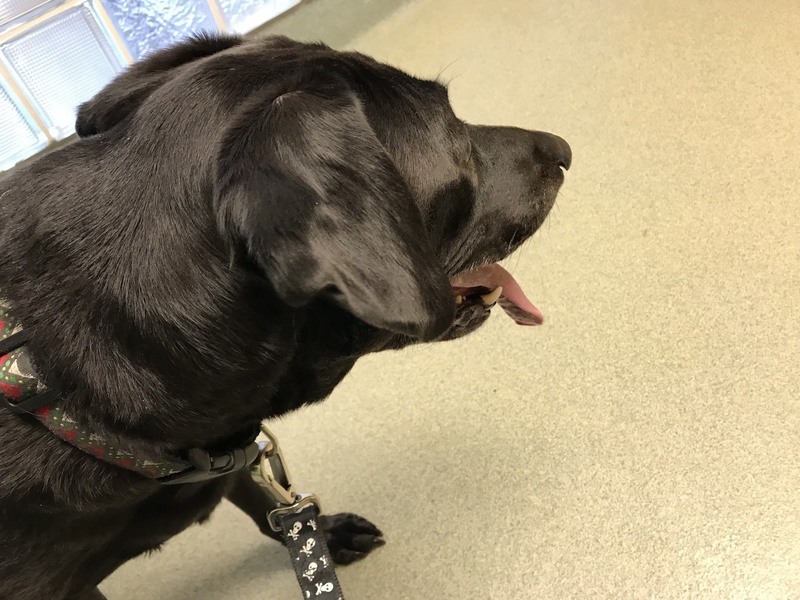 We went back to visit the nice lady Veterinary specialist and she said that I am doing a lot better. She says that I have Inflammatory Bowel Disease* (IBD) of the upper and lower GI tract and Pancreatitis. Mom has been giving me B12 shots once a week for the last 6 weeks (I am not very happy about that) but they are now going to start to be once a month. They are decreasing my prednisone little by little, though I am going to be taking this for a long time. 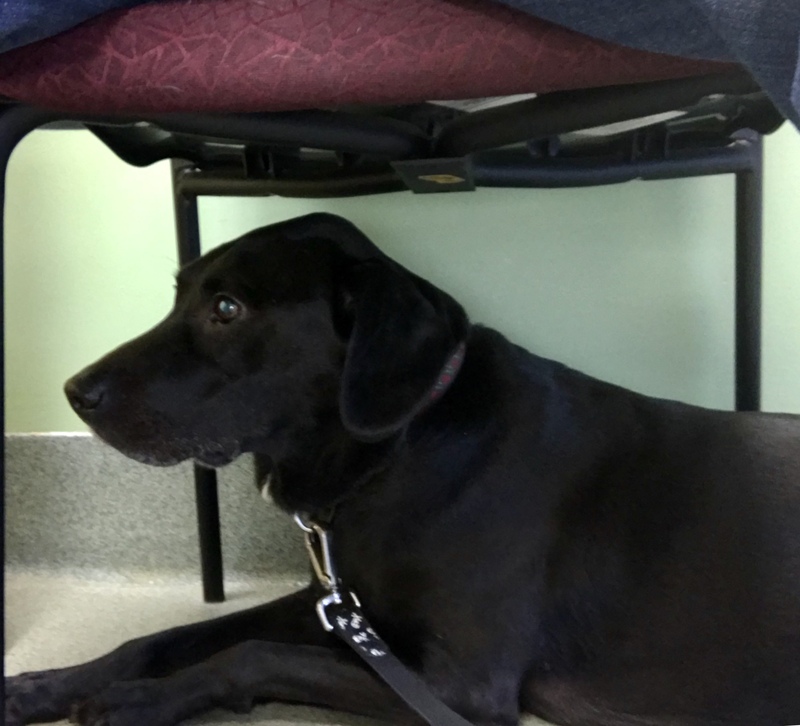 At my checkup appointment, I hid under the chair that Mom was sitting in so that the Dr would not see me (if I can’t see them, they can’t see me – right?). Going to the Vet makes me scared and excited. I don’t like it very much. Thankfully, if I keep improving, I won’t have to go to often. This prednisone stuff makes me super hungry. Mom finds me begging and scavenging for food, which I never did before. That was always Sofie and Charles’ deal. I have put back on some weight, which doesn’t bother me, but Mom is afraid the Dr is going to yell. And, I drink water all the time. All 3 dogs bowls and Charles’ little bowl are empty constantly. Mom is feeding me this expensive Royal Canin Hydrolyzed Protein (wet and dry), which the Dr says is the best for me, with an occasional hypoallergic dog treat. So far, it seems to be working. I guess that is all for now. I am happy to be feeling better. Thank you all for the healing energy.